Princess Charlotte, only daugher of Prince Guillaume and Princess Sibilla, made her official debut into society as one of the debutantes at the Bal des Débutantes in Paris. Her partner for the night was her twin brother Prince Léopold. The ball, which is as famous for its fashions as it is for being a get-together for the rich and famous, has garnered an array of celebrity daughters as well as offspring of politicians and aristocrats to make their debut into society since 1992. Charlotte's and Léopold's older brother Prince Paul-Louis also participated in the ball as one of the cavaliers. This year's ball took place at The Peninsula Paris just steps from the Arc de Triomphe. 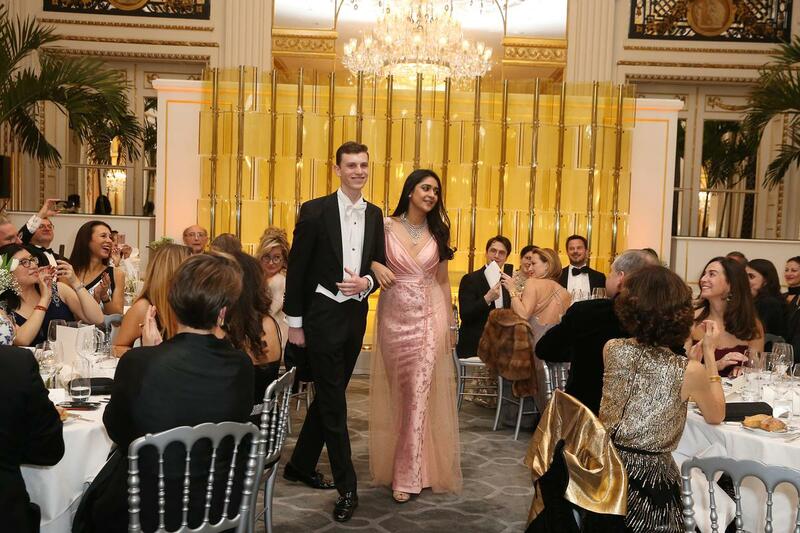 Prince Paul-Louis was partnered with Princess Gauravi Kumari of Jaipur for the evening. It was the second time that he has taken part in the ball. Last year he already acted as the cavalier of Princess Zita of Bourbon-Parma. Princess Charlotte, who is the youngest granddaughter of Grand Duke Jean, wore a gown by Georges Hobeika Haute Couture. I assume that Prince Guillaume and Princess Sibilla were on hand for their children's big night though I haven't found any pictures of them yet. More pictures are available at Le Figaro and Pure People.